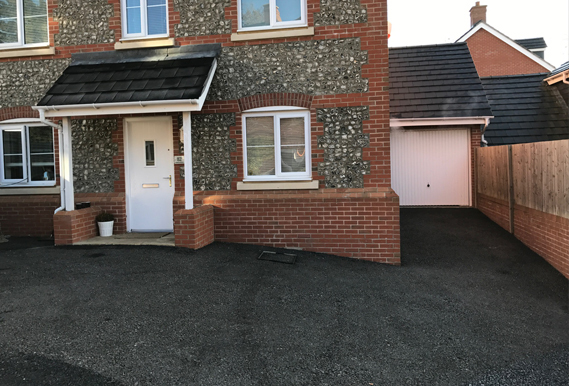 The owner of the this modern house in Haywards Health was fed up with the bland appearance of the tarmac and wanted something to compliment the style of this modern build. 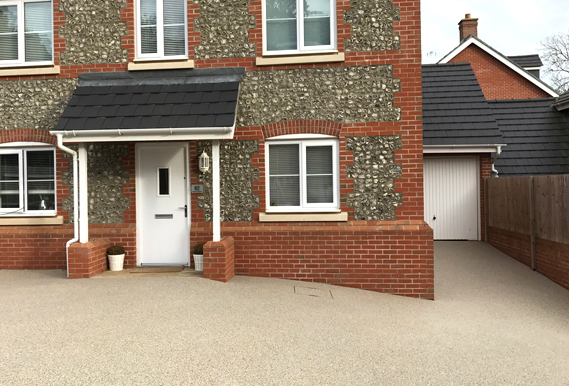 We set straight to work cleaning the current tarmac, applied a prima sealer agent and overlaid with our Pearl quartz giving a beautiful looking driveway that is durable, slip free in all weather conditions and requires very little maintenance. This project was completed in just one day allowing the customer to walk on it within 6 hours and able to park their car on it with 24 hours resulting in a very happy customer.